I’ve been going through those folders of things to do some day and here in the middle of the storm Sandy, with the lights out and candles lit, I found this. Don’t know where I got it. Just know that I have lived it. I walk down the street. It takes me a long time to get out. And I still fall in. It still takes me a long time to get out. I know where I am and I get out. Mama and Me---Our last three years together and beyond is a book about a relationship, built over 50 years and culminating in Mama’s death. Do You Love Me is a wonderful children's book. A conversation between a Grandmother and Grandson. Graces To Sing to Tunes You Know. Graces is filled with familiar tunes with new words to celebrate times with family and friends, good food and thanks. This is a book that puts each of the 150 psalms in the psalter into a shadorma poetry form. Some of the longer psalms have several shadormas. 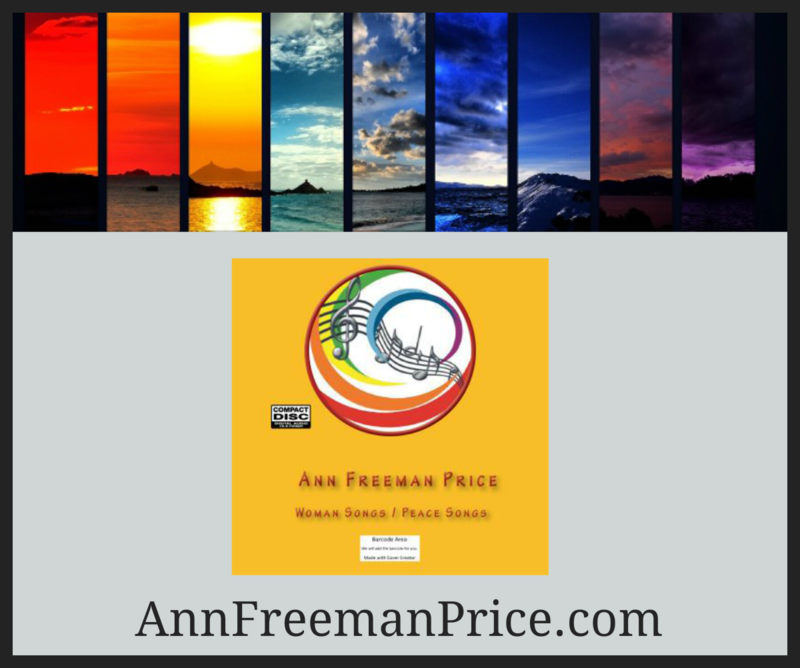 Woman Songs|Peace Songs is a collection of inspirational and powerful music still speaking to our times. Originally recorded in 1980. Wisdom of Children is a collection of stories of the Grandchildren in Ann's life, their wisdom and her reflections for God.